Made this for lunch one day, was just craving pasta and eggs… you could also add a piece of procuitto crisp to garnish. Homemade pasta, enough for one, any shape, fresh or dry. Boil the pasta till al dente, in salted water, drain. Remove from colander to bowl, add 1/2 cup parmesean, and toss with oil. 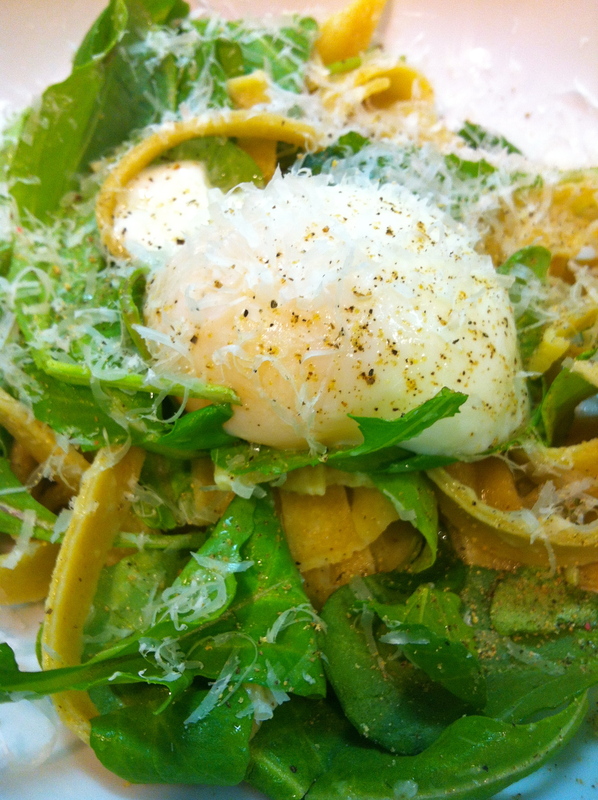 Carefully de-shell the egg and place on top of bed of salad with pasta. Cut down the center and allow yolk to spill. Garnish with parmesean cheese, salt and pepper.